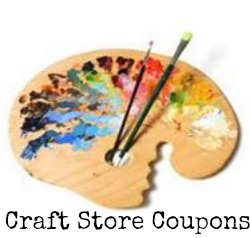 Here are some great craft coupons available this week! You can get 50% off your fabric at Hancock Fabrics, plus 40% off at Hobby Lobby and more! Keep in mind most craft stores accept competitor coupons. Often there’s a limit of one per customer, so if you need more than one item take a friend or spouse with you. Don’t forget about all the great online craft classes and patterns that Craftsy offers for FREE! You can follow me on Pinterest for more crafting inspiration, too.